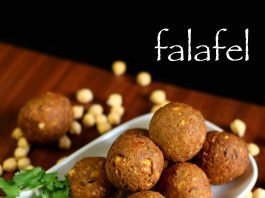 falafel recipe | easy falafel balls | how to make chickpea falafel with detailed photo and video recipe. basically a traditional middle east cuisine delicacy which is deep fried ball or patty made from chickpea batter. it is typically served in pita bread as patty stuffed with other veggies or it can also served with flatbread as burger. 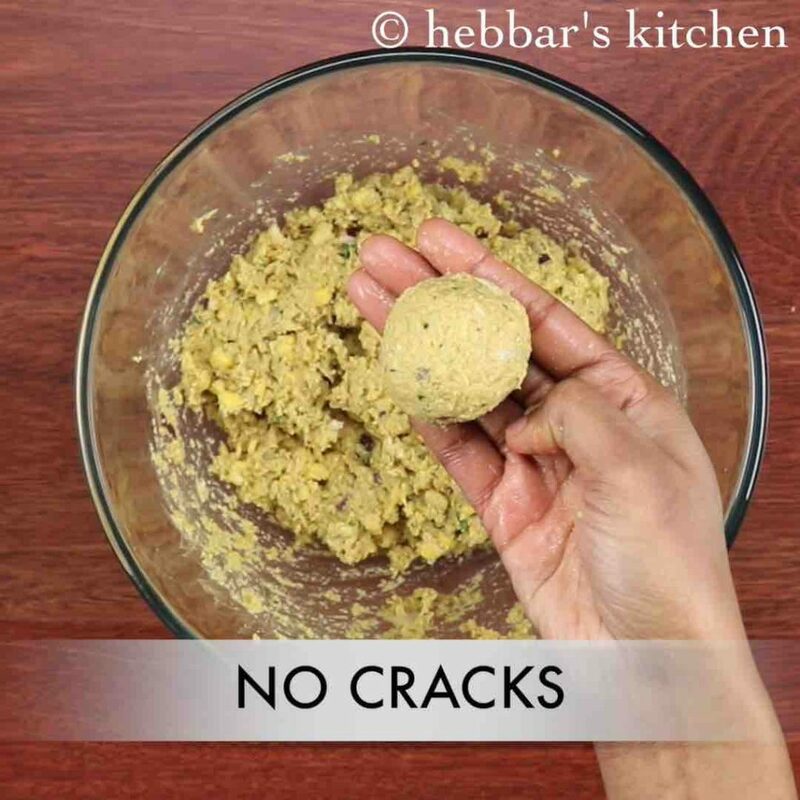 falafel recipe | easy falafel balls | how to make chickpea falafel with step by step photo and video recipe. it is one of the popular deep fried snack from the middle east or arab cuisine and is served with hummus or tahini sauce. 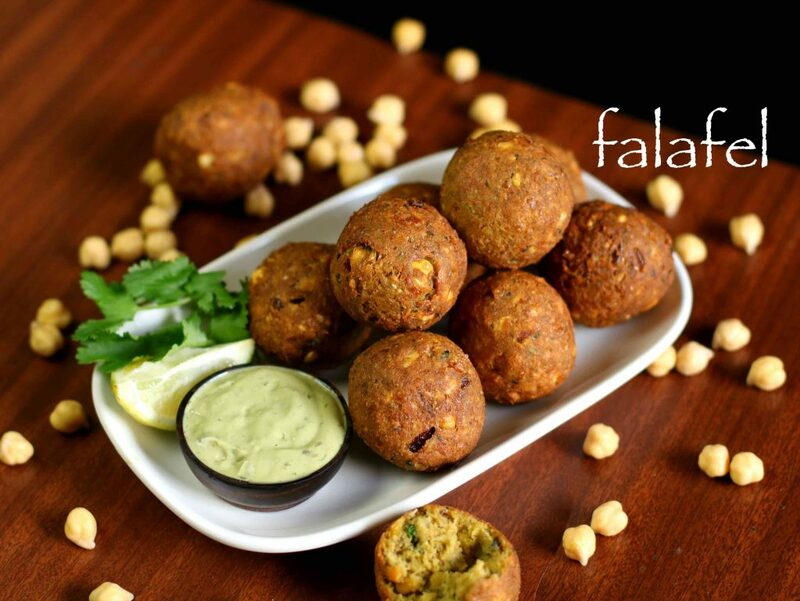 typically falafel is eaten as patty with breads or wraps, however it can also be eaten by itself as a snack. 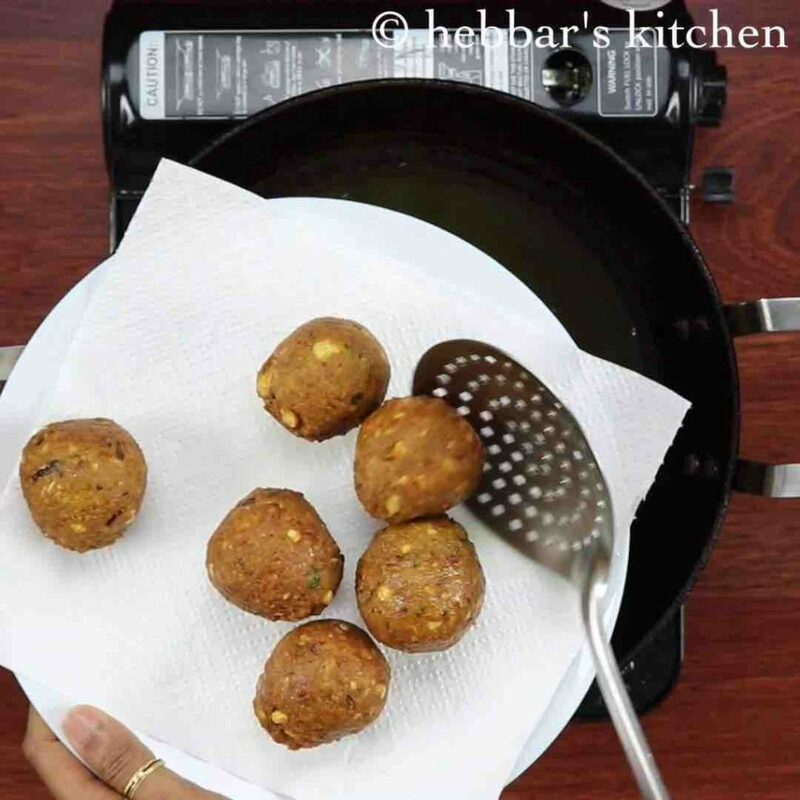 in this recipe post lets learn how to make easy falafel balls or fritter as a snack. my first encounter to this deep fried fritter falafel recipe was during my stopover in dubai international airport 2 years back. i was curious with this chickpea fritters recipe and i was served in a pita as patties. initially i was so clueless with it and more importantly i was worried whether it was vegetarian dish or not. but my husband confirmed and asked me to give a try. with my first bite, i was already in love with it and it was my new favourite deep fried snack. 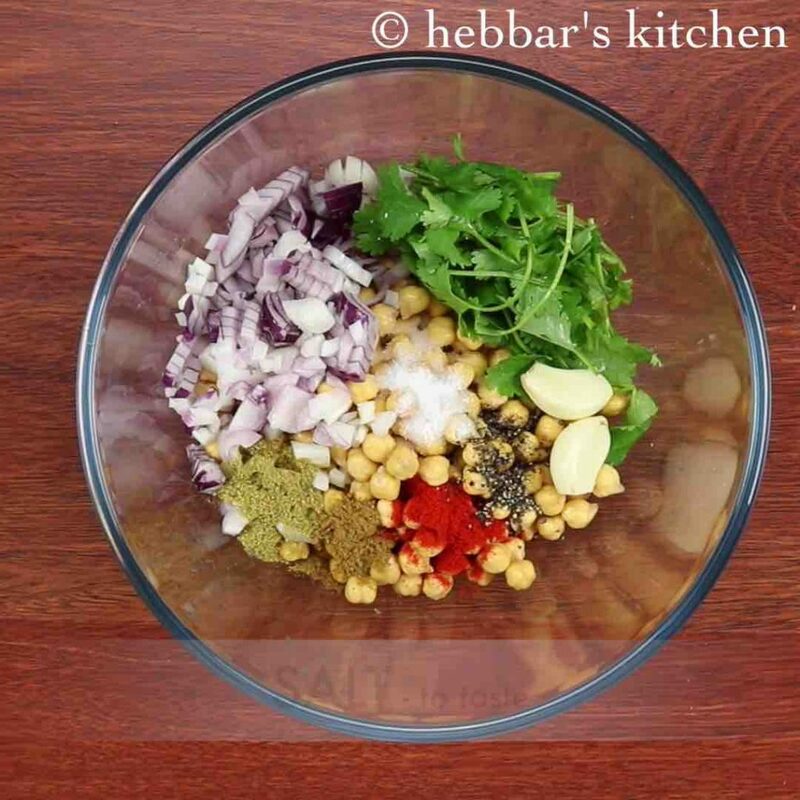 while there isn’t any complex steps in this recipe, yet i would like to share few tips and tricks for easy falafel recipe. firstly, i would not recommend to use canned chickpeas which you get in super market. i would heavily recommend to soak the chickpea overnight and use it to prepare the falafel dough. secondly, i have added baking soda and it helps to make it light and fluffy. however it is completely optional and you can ignore it safely. lastly, falafel as snack can be served with hummus and tahini sauce, however it also tastes great with green chutney and mint mayonnaise. firstly soak 1 cup of chickpea with enough water for overnight. 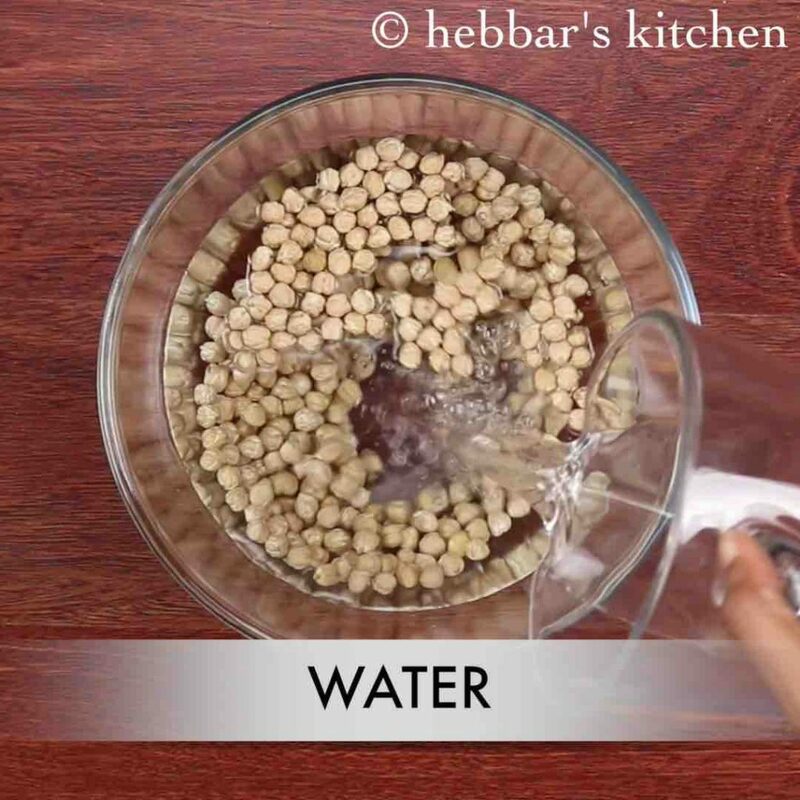 next day, drain off the water and transfer to a bowl or food processor. also add in ½ onion, fistful coriander leaves, 2 cloves garlic, ½ tsp coriander powder, ½ tsp cumin powder, ½ tsp chilli powder, ½ tsp pepper, crushed, 1 tbsp lemon juice and salt to taste. additionally, add in 2 tbsp maida. 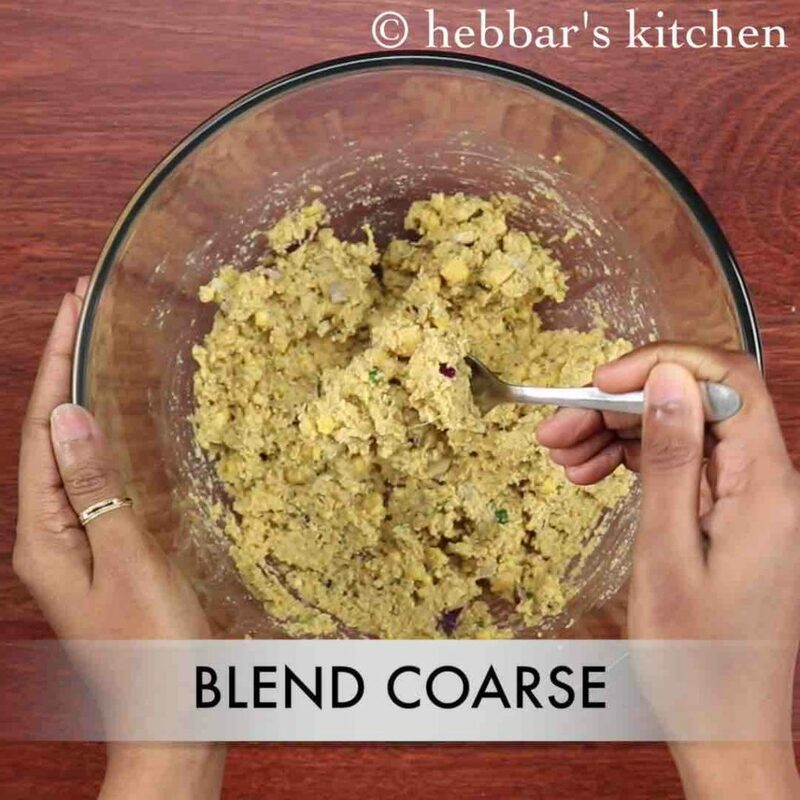 blend coarsely in a food processor without adding any water. 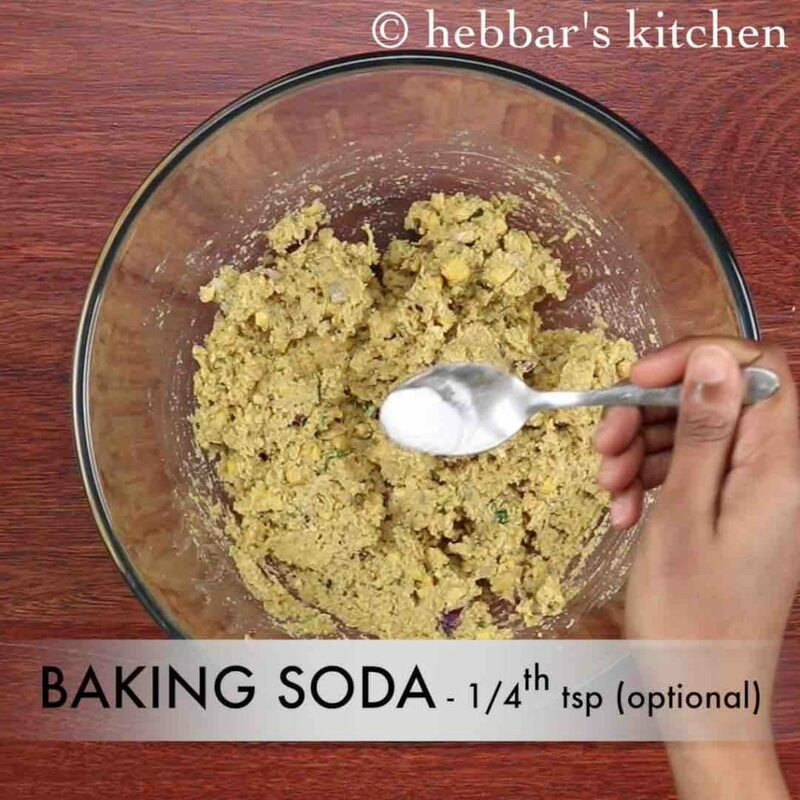 add in baking soda and mix well. now wet your hands and prepare small sized balls. 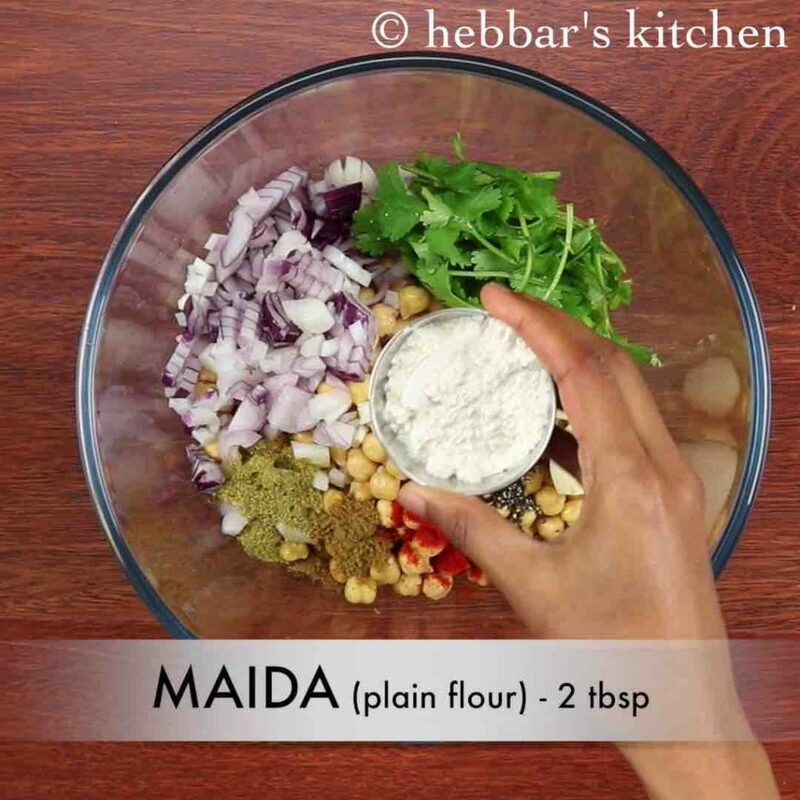 if the dough is sticking to hands then add a tbsp more of maida and mix well. deep fry the balls in hot oil. also stir occasionally, keeping the flame on medium. once the falafel turns golden brown, drain off on to the kitchen paper. 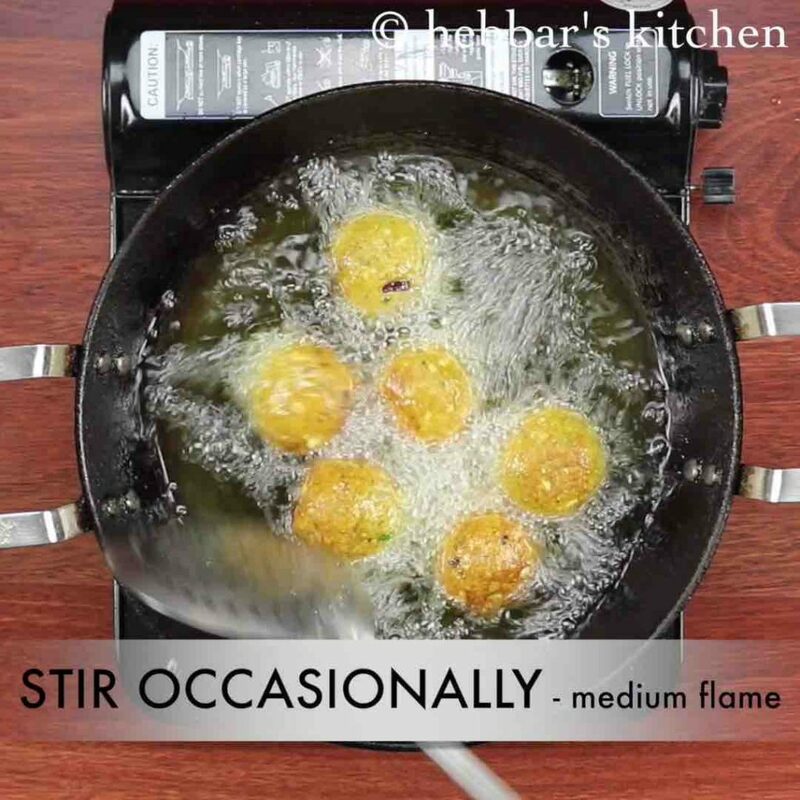 finally, serve falafel hot with hummus or sauce of your choice. firstly, do not use tinned chickea as they do not yield the same texture. 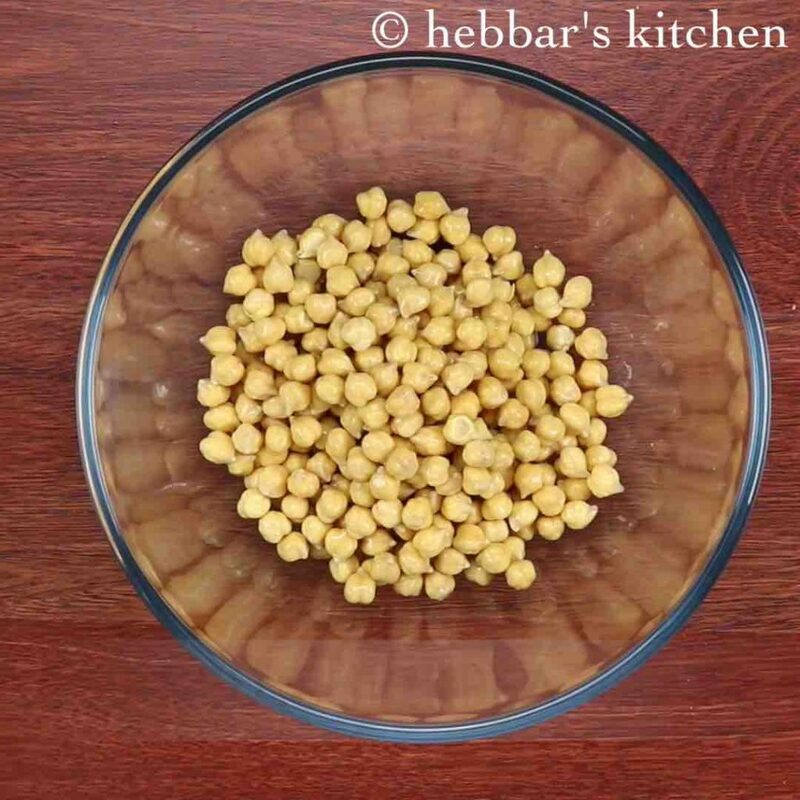 also make sure to soak chickpea overnight, else will be difficult to grind coarse. additionally, use parsley along with coriander leaves for more authentic flavours. furthermore, store the dough in refrigerator for 2 hours before preparing balls. this helps to get nice shape and do not break in oil. 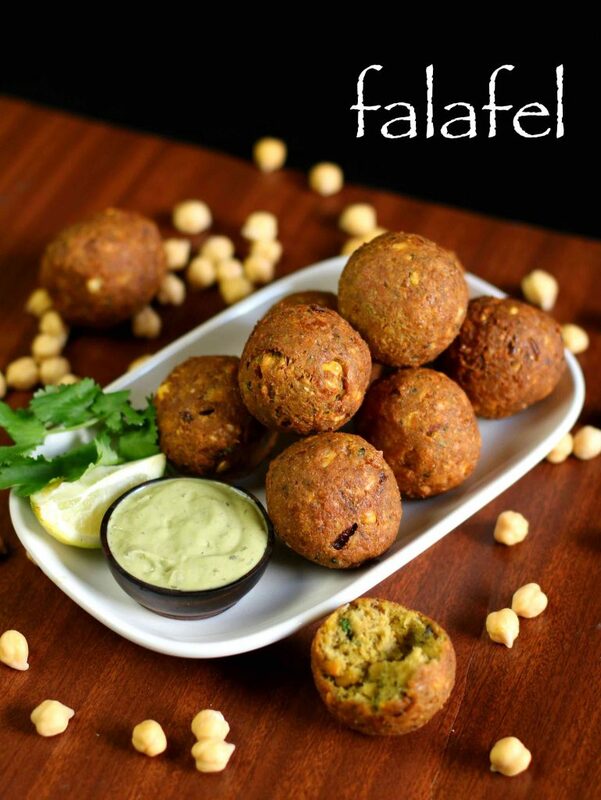 finally, if the falafel breaks while deep frying, then blend chickpea further and add a tbsp of more maida. I love all your recipes !!! They work so perfectly the first time, every time!! hi..I just tried it..and it turned out awesome..
Can we shallow fry it? hi i wanted to know are you adding baking soda to make it more crispy?? What is the measurement of 1 cup. I have a 240ml cup…will it be the correct size for the recipe? Tried this. Tastes very good. All your recipes are very very easy to make. Keep up the good work! How about you post hummus recipe? Hi….I became your fan… Your video clipping is really super… let it be any dish.. your clipping won’t exceed 2 minutes, that too very clearly explained & the way you deal with the ingredients is like wow.. i am waiting for sunday to try this dish… Tried your poha idly & it came very well… Good going… please do send more receipes..
can i bake it instead of deep frying??? yes you can bake it in oven. but make sure to give it a patties shape and not ball. preheat the oven at 375°F and bake it for 12-15 minutes each side. instead of deep fry can i bake it???? yes you should be able to bake it. Thanks so much for the recipe. It looks so simple will try this today. Thank you for this recepie, because I am waiting for this . You made it very awesome.